We're not going to say that John Boyega is getting pigeonholed into a specific kind of role, but a pattern is certainly emerging. His breakout role came in his commanding central performance in the brilliant Attack the Block, which instantly pegged him as future star in the making. And of course, it helped him snag role of Finn in Star Wars: The Force Awakens, where he battled Imperial stormtroopers and crazed Darth Vader fanatics. Clearly, Hollywood sees him as the guy for sci-fi action flicks, and now he'll be taking those talents to the long-awaited Pacific Rim sequel. Boyega will next battle giant kaiju in Pacific Rim 2, unofficially known as Pacific Rim: Maelstrom, according to an announcement today by Legendary Pictures. 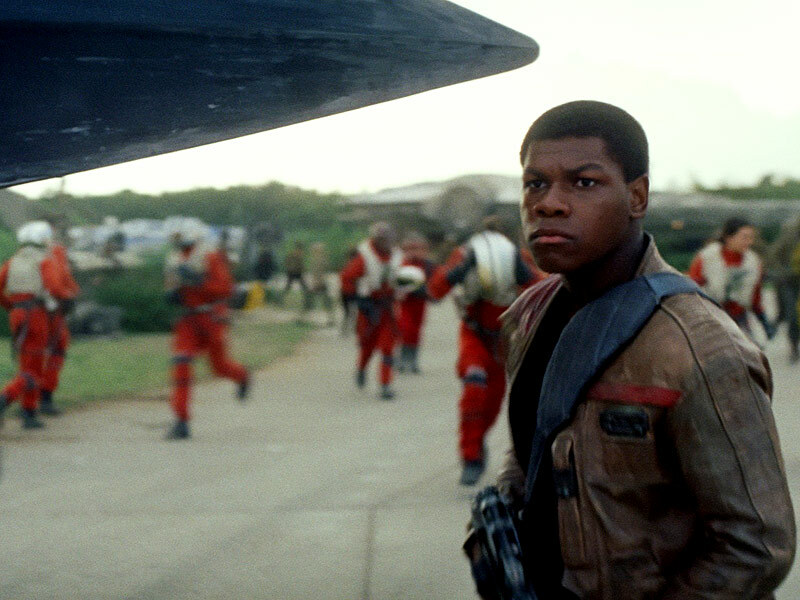 Most interesting is Boyega's character as he'll be playing the son of Idris Elba's Stacker Pentecost. Hopefully he's inherited Dad's ability to say really cool stuff at just the right moment. He didn't get to pilot the Millennium Falcon so a kaiju-killing Jaeger will have to do. His casting could indicate a big jump forward in time from the prior film as there was no mention of Pentecost having a kid. Not that it means anything concrete, but it's a possibility. Pacific Rim 2 will be directed by Steven S. DeKnight (Daredevil season 1), who took over from Guillermo Del Toro. There's no release date yet but with this move that is likely to change soon. Boyega will be seen next in Dave Eggers adaptation, The Circle, and hopefully by then his excellent drama Imperial Dreams (reviewed here a couple years ago) will have hit theaters.